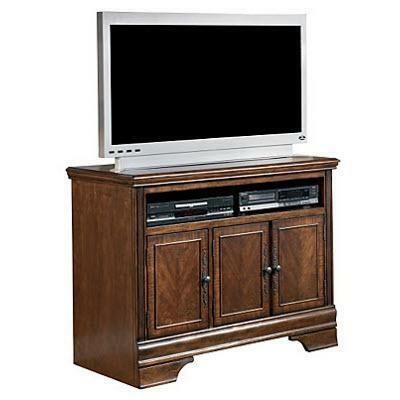 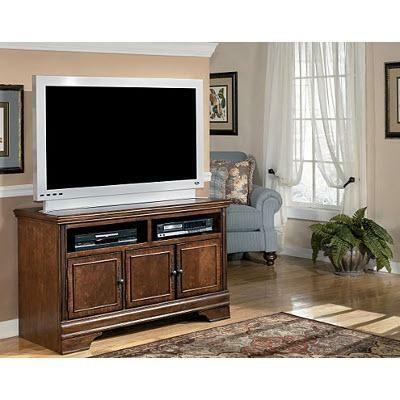 The 50" Hamlyn TV stand features a rich dark brown finish that provides a traditional look and feel for your home. 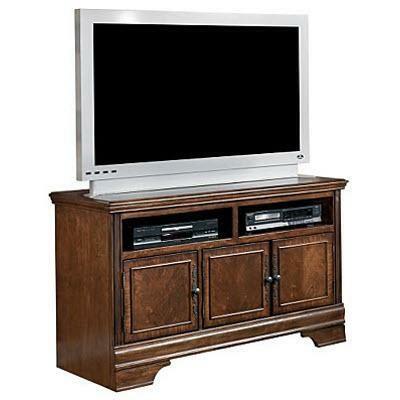 Made with select hardwoods and cherry veneer with Prima Vera inlay, veneer, the Hamlyn TV stand is the perfect addition to any living room environment. 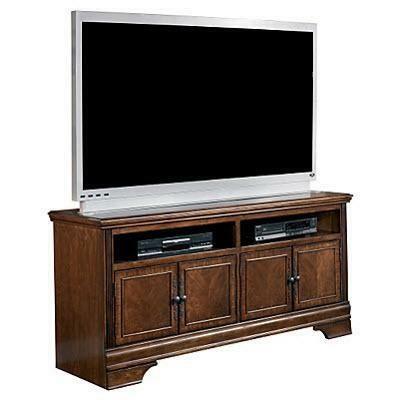 Additional Shelf Information Left shelf: 15 3/4" x 15 3/4" x 5/8" Right shelf: 30" x 15 3/4" x 5/8"